Create your own funny monsters and transform them in real-time by building and tweaking their DNA! Over 200 billion unique life forms at your fingertips! 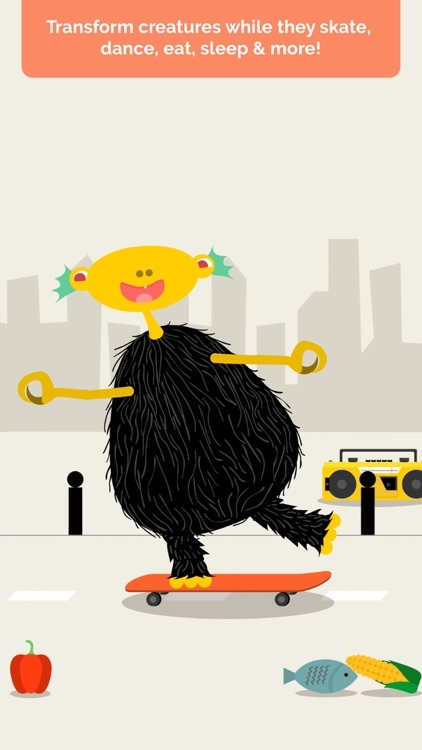 Feed your monsters, dance with them, watch them skate, get to know their quirks. 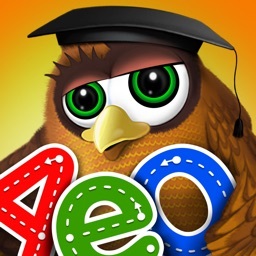 • App Store "Best of 2015" in the US! 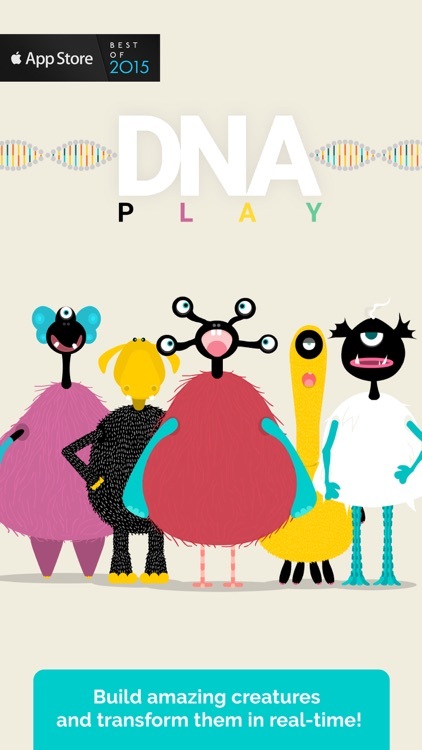 This fun monster maker game introduces kids to the basic science of DNA in an easy pure-play style. 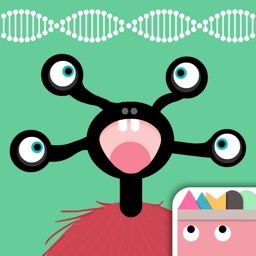 Learn how to build creatures by completing a series of simple DNA puzzles. 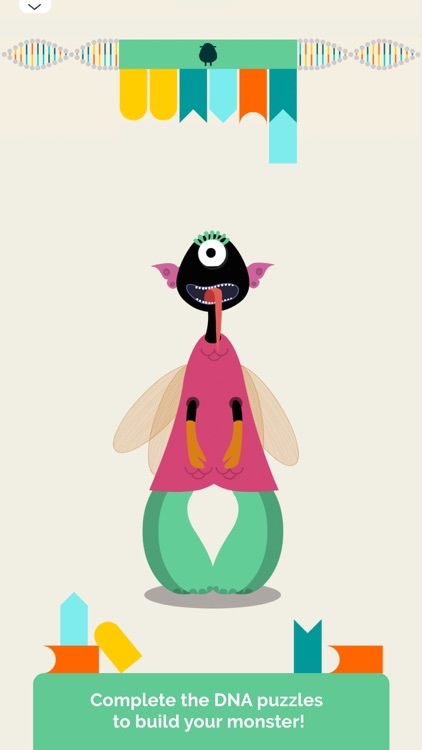 Get creative and experiment with quirky mutations of different body parts by altering genes. 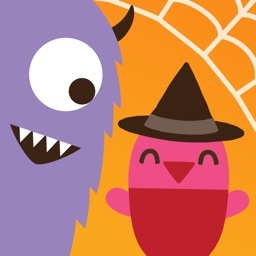 Have fun playing with your monsters and change their form in real-time while they dance, skate, eat or sleep! Start with a basic unformed figure and complete the gene puzzles to give it a fully grown torso, face and limbs. Then tweak the genes or simply tap on the monster's body parts to trigger mutations. Observe how the tiniest change in the DNA code can lead to unimaginable new characteristics. Watch your monster turn from yellow to red, grow pink hair and 6 eyes, have its ears transform into fish fins and its belly pop out and crave for food. Best of all, these are emotional creatures with vivid personalities, so prepare to be surprised! 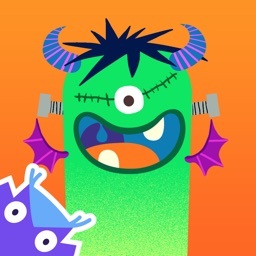 Once you complete all 6 body parts it's time to play with your monsters and have fun! Feed them, tweak them, push them, squeeze them, make them jump or slide! Go for a skateboard ride with them! Get to know their quirks. 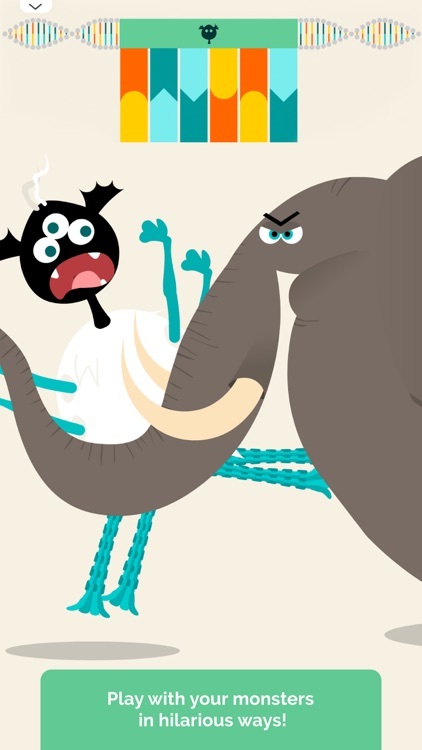 Do they enjoy being chased by an elephant, being hypnotized or listen to music? Are they afraid of the dark? 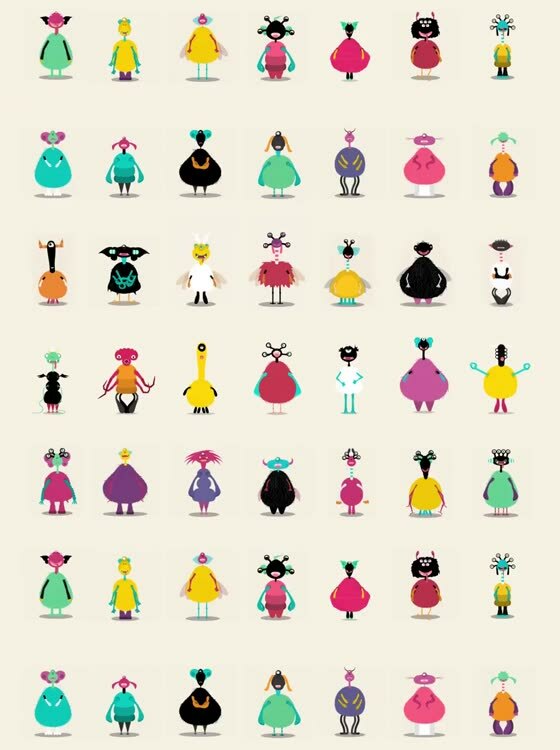 Discover what makes them sneeze, laugh or cry, how their voice changes after mutating their faces! Try, experiment and evolve! Why stick with 2 short legs when 4 tall ones are so much better for flamenco dancing? Keep transforming and observe which forms look better in various activities! Take photos and share your genetic blueprints so friends can clone your beasts. 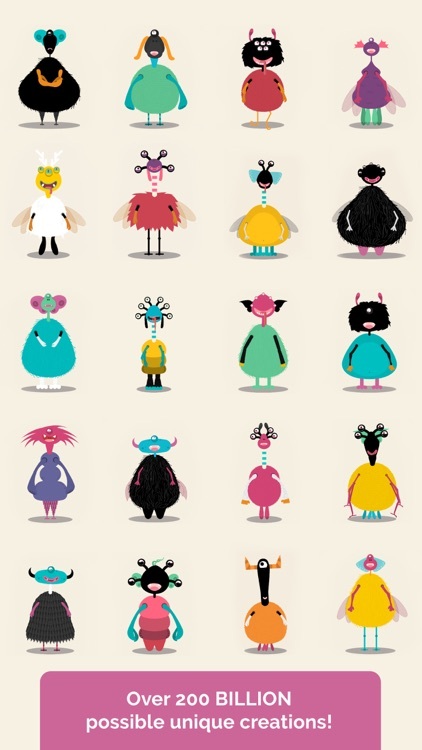 Build your personal library of ready-to-play, cute little monsters. Science has never been so fun! 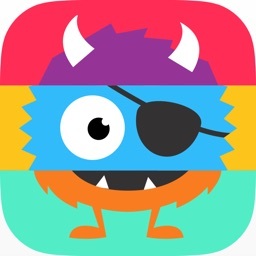 • Build over 200 billion unique monsters! 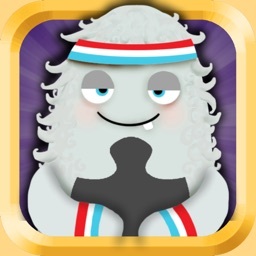 • Transform monsters in real-time while they dance, sleep, eat, skate & more! 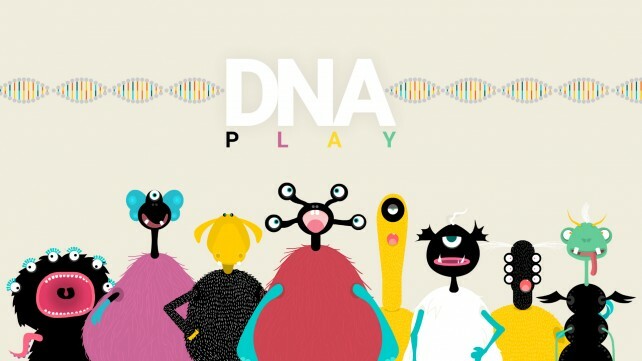 Help your kids learn about DNA as they create tons of goofy creatures in this upbeat new educational game.